The Comic Book Syndicon is coming (Sunday, Aug. 16th, to be precise). 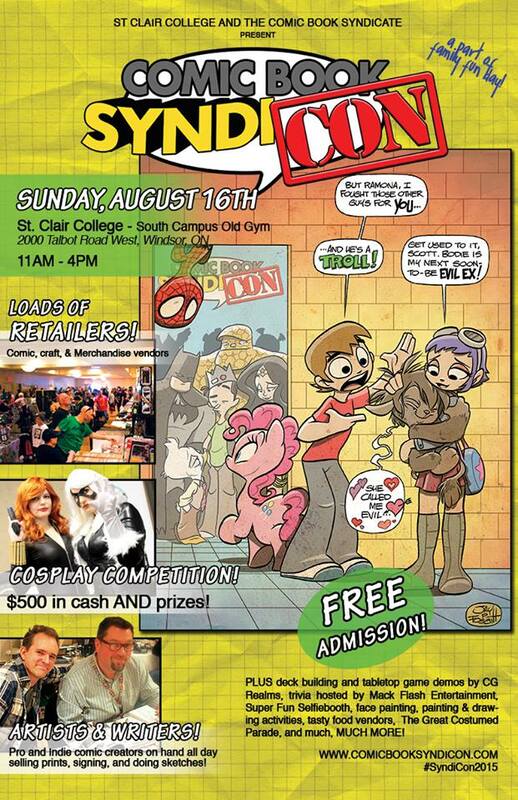 It is being held at St. Clair college in conjunction with their own family fun day event. It should be a great day for the whole family (comics, collectables, cosplay and more!). The best part is, it’s free admission! I’ll be there selling copies of my book, but I won’t be alone. I’ll be sharing a table with comic writer Dave Rocha (The Underground and Tecumseh) from Twisted Studio!